Dirt, dust and pet dander can really do a number on your carpets, and if you’re tired of looking at the once-beautiful flooring in your Atlanta home, KIWI Carpet Cleaning can help. In 1987, a busy mom who wanted year-round carpet cleanings to keep up with a household buzzing with kids and pets founded this company, and now we’re Atlanta’s go-to choice for people who find themselves in similar situations. With over 33 years of experience in the cleaning and restoration business, you can expect your carpets to be deep cleaned by a thorough competent crew. Our Customers all over the Metro Atlanta area are talking about KIWI’s professional carpet cleaners, and they’re leaving us rave reviews. One of the biggest attractions of our Atlanta carpet cleaning service is the fact that people can call for an affordable cleaning whenever they need to as well as our incredible customer service. 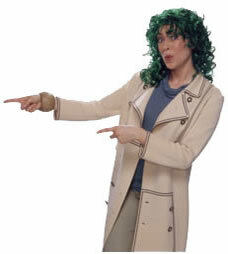 Germs, dirt and other kinds of contaminants always surround us. The good news is that you can help protect your family’s health with frequent carpet cleaning. Regular carpet cleaning rids your home of all types of contaminants that can make your family sick or suffer from allergies. A clean carpet doesn’t harbor pet dander, germs or bacteria. On top of that, clean carpets look better than tired, dirty carpets. With our one-year carpet cleaning service you can afford to have your carpets cleaned as many times as you wish without having to pay for the cost of what other carpet cleaning companies charge. Once you purchase an initial carpet cleaning totaling $120 or more, you’re entitled to unlimited $4-per-room cleanings for an entire year under our warranty (a small trip charge applies). This exclusive low-cost offer that keeps your carpets beautiful all year long is unmatched by the other carpet cleaning companies in Atlanta. With our KIWI Lover One-Year Carpet Cleaning Service, you’ll be able to afford to keep your carpets beautiful and contaminant-free throughout the year. 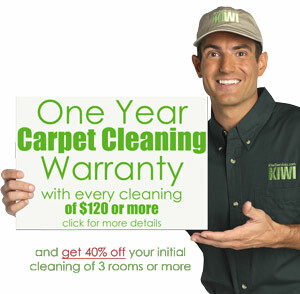 You can also get your rugs cleaned beautifully with KIWI. We also offer odor and stain removal. The Environmental Protection Agency suggests that you clean your carpets at 6-month intervals. Under certain conditions, such as high humidity and high traffic, and if you live in a home with pets or smokers, you should have your carpets cleaned more frequently. If there has been any kind of environmental contaminations, monthly carpet cleanings can help ensure your family’s safety. Unlike steam cleaning method, our green environmentally friendly and quick dry carpet cleaning system will have your carpets dry in as little as 15 minutes and you don’t have to deal with wet, soggy carpets for days after getting your carpets cleaned. And for your pace of mind all our services come with no questions asked 30-day satisfaction guarantee. we’ll come back and reclean any or all areas of the job, free of charge, if you’re unhappy with any of the results or if any of the stains reappear. Call us to schedule your carpet or upholstery cleaning appointment and join the ranks of thousands of happy KIWI customers.